From the first time I’ve known my good friend Lorraine I’ve always heard her talk about her carrot cake! Grrrr…no….no…no! I make the best carrot cake! One day before spin class started, we were quizzing each other on what we put in “our” carrot cake. It went something like this, “well do you put pineapple in your carrot cake?……do you put raisins in yours?” You would think we were like two high school girls competing over the title of being the Quarterbacks girlfriend! Despite our friendly competition, I’m glad God brought us together thru the love of food & fitness! Then as you all know, I blew my back out. Darn it! Now I feel more guilty about eating my desserts. I can’t get my workout in to justify my guilty pleasures. Tears….tears…tears! I’m now a serious closet eater. Here is the scene…..It’s midnight, the boys are in bed…fork, cake and a glass of cold milk…..ahhhh we’re reunited once again! Oh yah, back to Lorraine. She called me up asking if I would like some carrot cake. What nerve! Kick a girl when she’s down! (She was very sincere!) “Of course I would like to judge, I mean try your cake.” Lorraine came to my door with a WHOLE CAKE ON A PEDESTAL! Seriously! We chatted shortly, blah, blah, yah, yah, yah…thanks for the cake, good bye. I couldn’t wait to try the cake! I never even got a plate. I sat the layered cake on the counter limped over and got a fork. I picked the perfect spot to dive right in and….Oh My Goshhhhhh……delish! Fork full after fork full trying to figure out what’s in her’s compared to mine. It didn’t matter I was in carrot cake bliss! Ok, our carrot cakes are on equal playing fields! Now, that I got you all hungry for carrot cake, I will get to my actual recipe I’m sharing with you today. 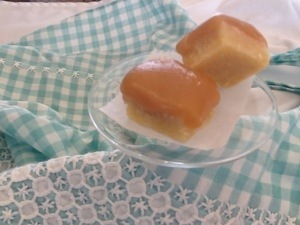 I love shortbread, love love love caramel, and who doesn’t love the combo of sweet and salty?! Seriously prove me wrong!!!! Just try…. Well, if there is one of you out there then try this recipe and you will soon be an addict like the rest of us on this planet! Lorraine sent me this delectable recipe quite some time ago. People send me recipes all the time. I either try it out or forget about it, eekk…sorry! But this recipe I never have forgot. And it always helped getting a friendly reminder from Lorraine asking me if I made this recipe yet. 😉 love that girl! So here it is Lorraine. 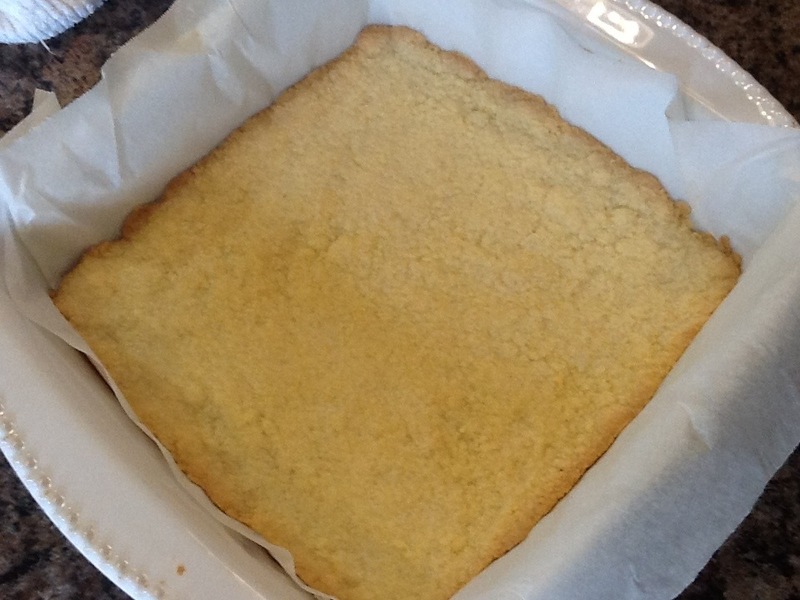 Add the vanilla and pour over the cooled shortbread. Now have patience my friend. Let cool in the fridge for about 3 hours. Twiddling my thumbs….. Here ya go Lorraine! I’m on my way over! 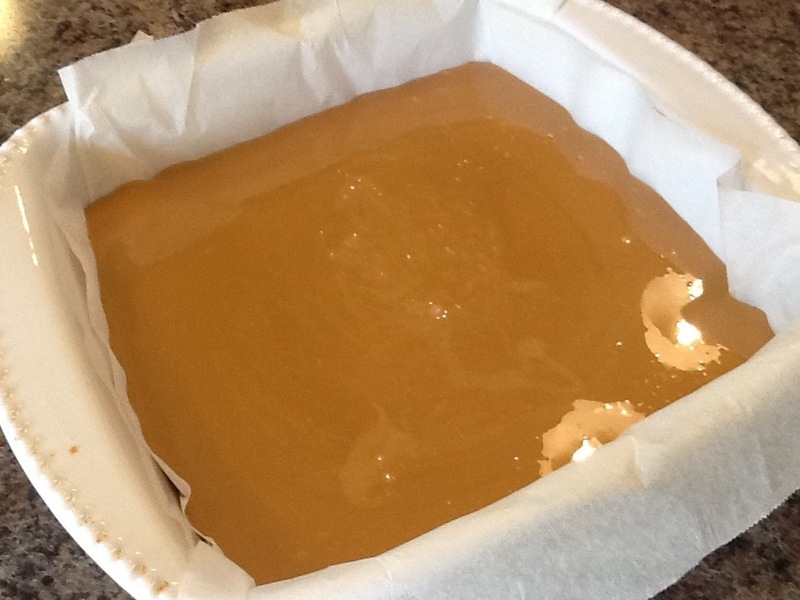 Line an 8×8″ pan with parchment paper, leaving some hanging over the sides to make removal easier. 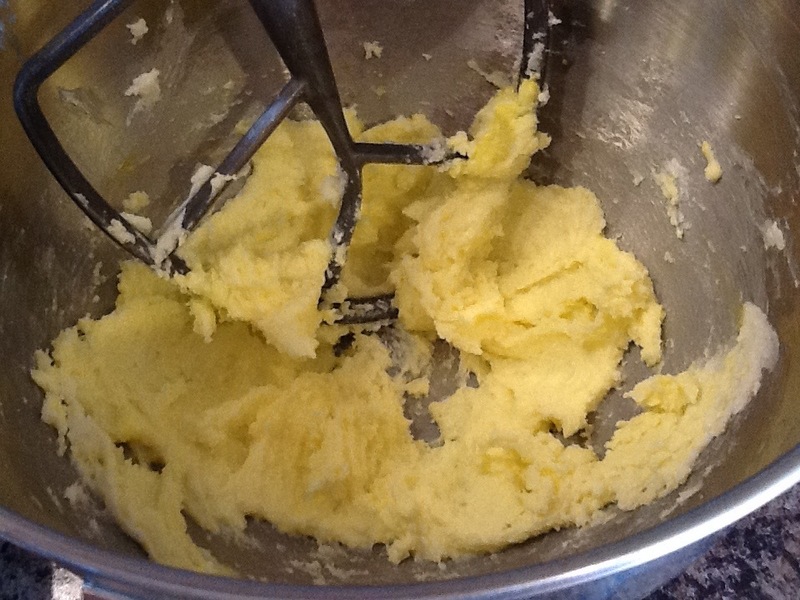 In a large bowl, combine the butter, sugar, and salt with a pastry cutter or fork. 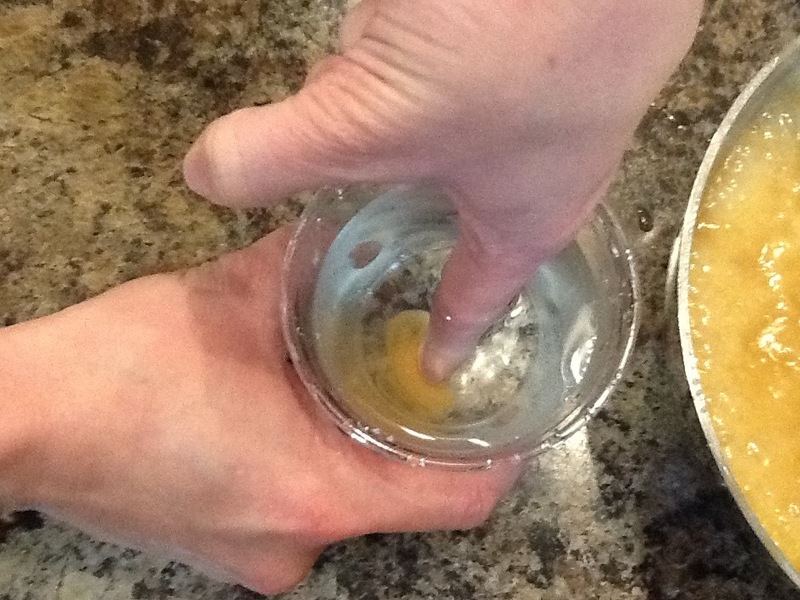 Add the egg yolk and continue mixing. I used my stand mixer for this part. 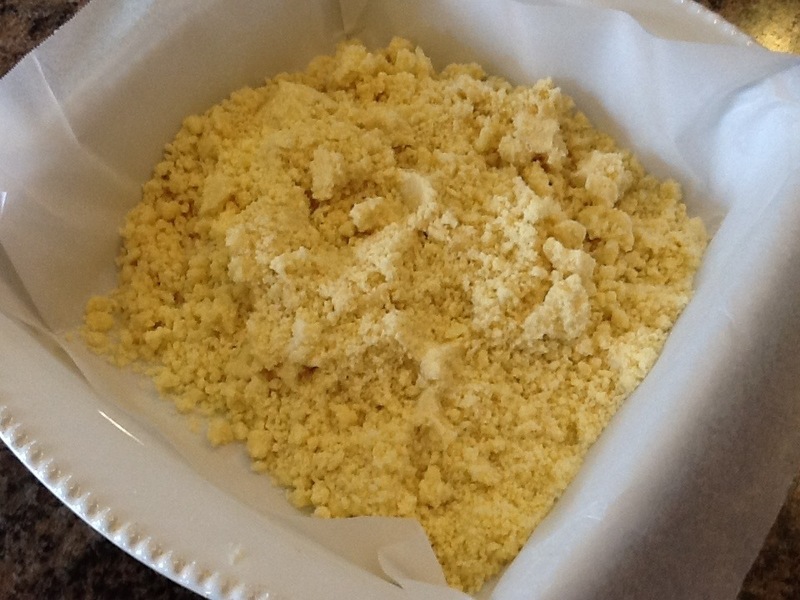 Add the flour and use your hands to combine the dough until coarse crumbs form. 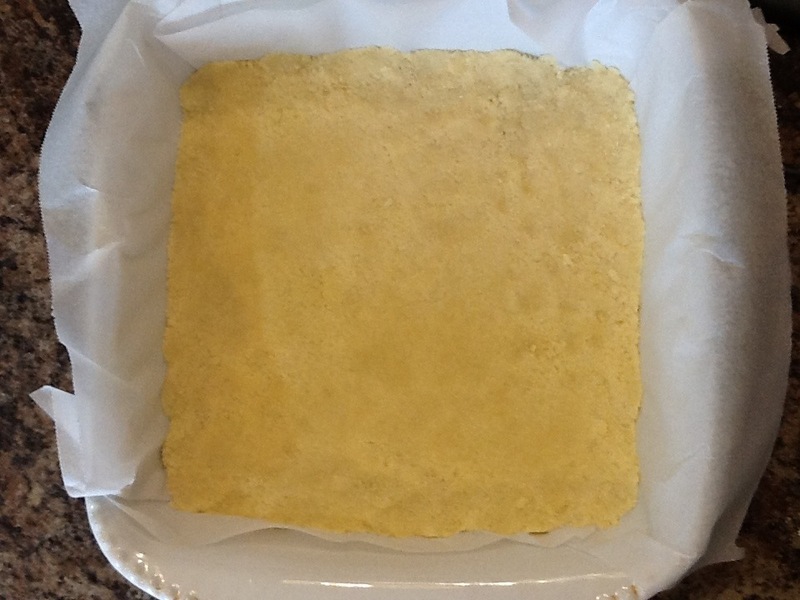 Transfer the dough into the prepared pan and press it down into one even layer. Refrigerate for 30 minutes. Preheat oven to 350 degrees and bake for 25 minutes, until slightly golden brown. Set aside to cool. 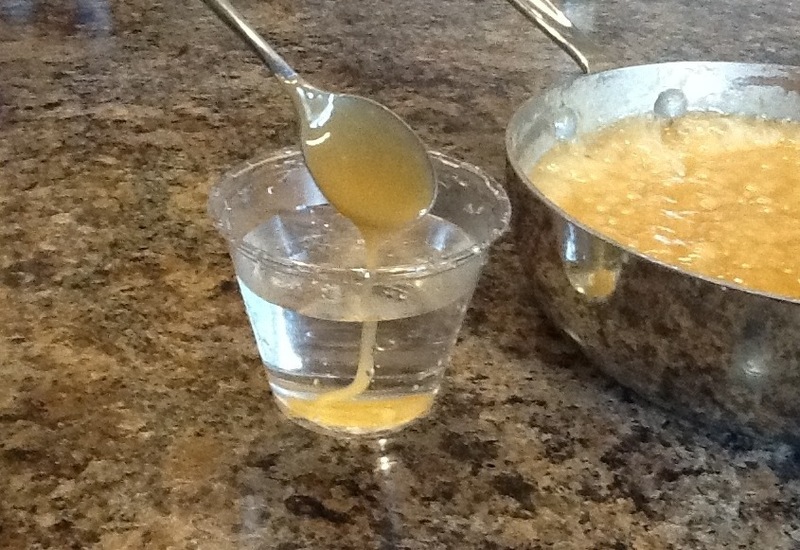 For the caramel, combine the butter, brown sugar, corn syrup, salt, sugar, and heavy cream. 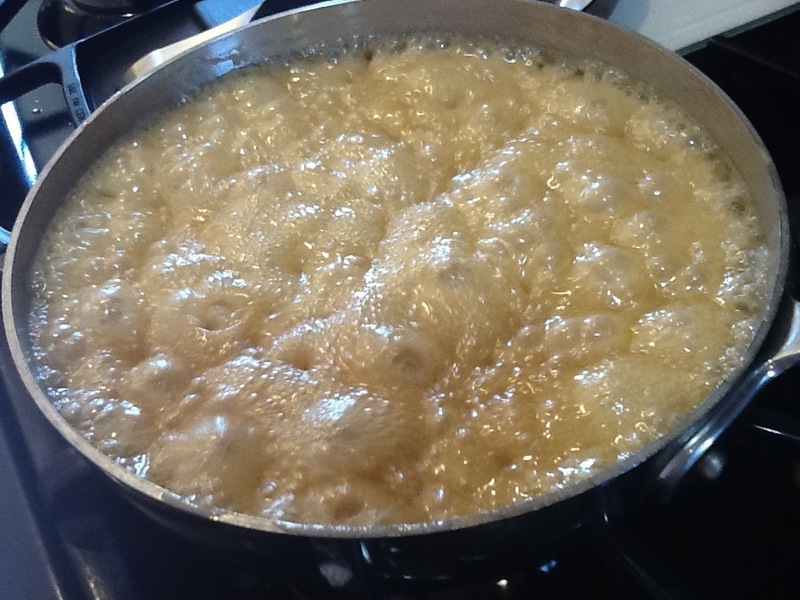 Bring to a boil and stir for about 5-10 minutes until caramel reaches the “soft ball stage” at around 230 degrees. 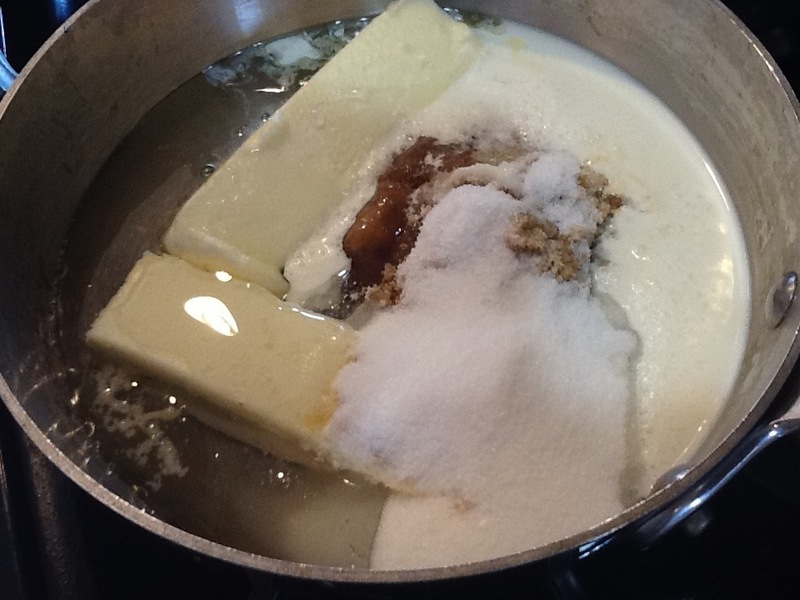 Remove from heat, stir in the vanilla and pour caramel over the shortbread. Refrigerate for at least 3 hours, then sprinkle with sea salt and cut into squares. 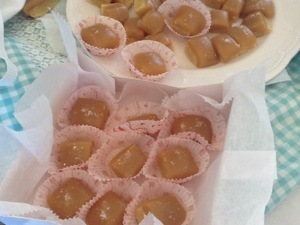 Store caramels in the fridge until you’re ready to eat them. *Add nuts to the shortbread. 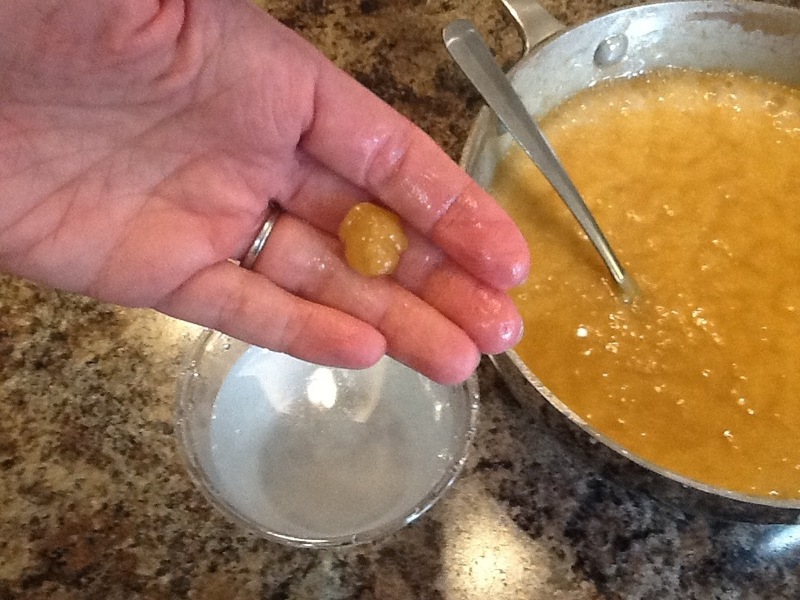 If adding nuts to the caramel, add them after you are done making the caramel to the soft ball stage. Make sure the nuts are toasted first, better flavor that way! 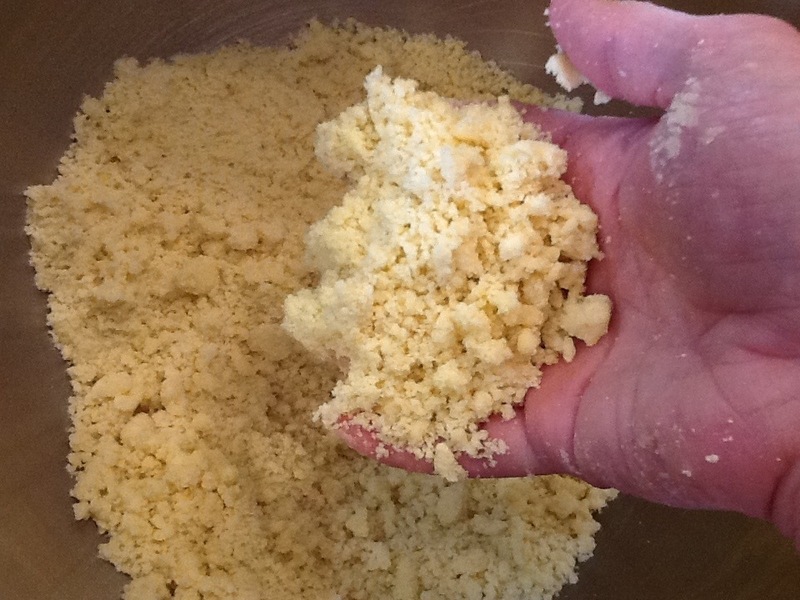 *You could add orange zest to the shortbread for a twist in flavor. *A drizzle of chocolate w/ pecans in the shortbread; hello turtle bite! Oh my gravy! 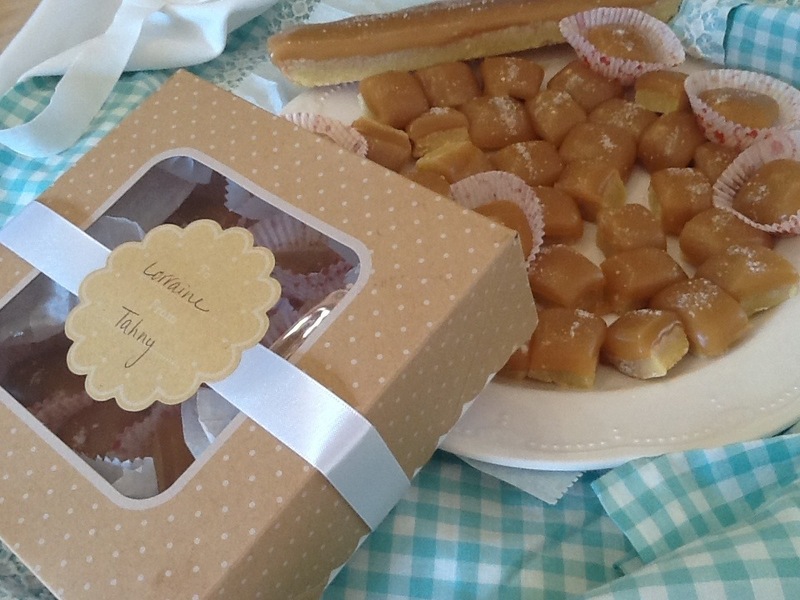 It’s only 7a.m.- “normally”, the only time sweets don’t sound good….thx for nuthin’, Tahny AND Lorraine ! I thought of you Debi when I made these. I knew these would be right up your alley! Seriously Tahny? Salt? Caramel? I’m in hog heaven just reading the post. Can’t wait to try it. Thanks for sharing your recipes and most important your loving self. I know!!! They are so yummy and easy. A great Christmas candy treat. Drizzle or dip in chocolate! I think maybe I can make this? Nellie, good to know you can just do the drop method to check doneness of candy! The whole candy thermometer thing scares me!!! 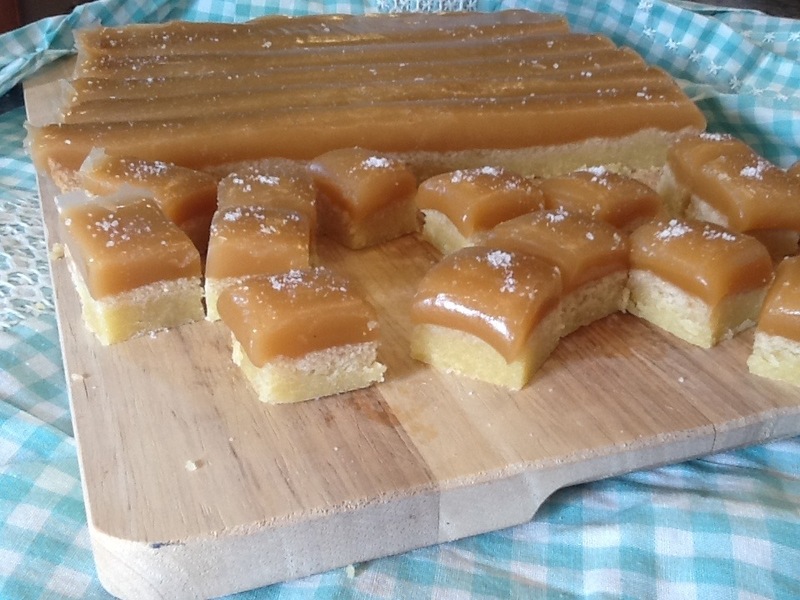 Shortbread and caramel…it does not get much better than that!!! Pretty close to heaven! I’m so honored! Keep sending me recipes, I think we have the same flavor palette! 🙂 a great team! You have always loved that flavor combo Nanho! Chocolate dipped potato chips…. I would love to try your carrot cake 😉 So would Lorraine am sure!!! Hahahaha! You always crack me up!!! I’m smelling a carrot cake cook-off…..!!!!! Well, jokes on u– I try a new cc recipe every time, in search of the perfect one. Might as well stop since u & Lorraine have already focus the best one ! HA! Tahny might be time to post your carrot cake recipe…or is that top secret????? 😉 , 4ev. Love it!